Yan Mu Lin, who just got the Best Male CV award, was killed in an accident, but fate made him traverse into another world. Shao Nuo Yu: to assist his husband and educate the children. They found out that the superstar, film emperor, and female lead unexpectedly had the same CV! In the end, who is it?! Who is it?! 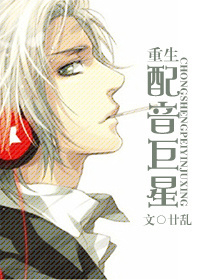 because of the picture I was expecting him to be cool, smart and temperamental (he looks like grown up Gokudera from KHR). I think the CV parts are interesting and the tv reality show has been fun but honestly I like the MC better when he's away from the ML and his brain actual works. YML is yet another MC who is moderately intelligent on his own, especially in his specialized career field, but once he's anywhere near the ML all of his brains dribble out his ears and he becomes... more>> a typical naive idiot shou. and of course, despite being in the entertainment circle as a CV for more than a few years he still managed to stay "100% pure, " just like all the other idiot MC's out there. This leads me to think that there must be a lot of 30 and 40 year old male virgins in China who somehow manage to gain zero life experience during their aging process before meeting truck-kun and being sent to a new and always younger body. Unexpectedly good. I though to begin with that this would be an exaggerated and unrestrained reincarnation tale of revenge, and praise of MC's skills. Though indeed there is some revenge and plenty of praise of the MC's skills along with the MC unrealistically constantly seeming to get female roles it is slightly rained in. MC isn't the only transmigrator. So far there is the ML and one other and none of them come from the same origin world. Some of the elements concerning voice acting seem highly unrealistic, however, having the focus on voice acting itself is quite interesting and feels a little more fresh. Okay. Let's talk about how exaggerated the author is. What is the purpose of the Best Female CV Award? To encourage the female CVs to work even harder. To appreciate their effort in CVing. To judge which female CV is the best. And guess who won the Best Female CV Award in his first year? It's Yan Mu Lin, the MC. Wow author, could you be even more ridiculous? Yes, YML is such a good CV he can CV for a female character. Yes, YML is so damn good his moaning can stimulate even the straightest man. Yes, YML is so great no one would know the voice of the female character Pan Jia Ling came from a man. So what? Doesn't change the fact that he's a man. Imagine a male actor who is so androgynous with s*xy AF voice; acting a female character in a movie and his acting is so on point you would never expect her to be a him and he deserves a freaking award for it, what award should be given to him? It's the Best Male Actor Award, right? Because he's a male and he is a goddamn good actor that transcends gender. Similarly, if YML is so f**king good, he should have been given the Best Male CV Award. The Best Female CV award judges the FEMALE CVS, not the FEMALE CHARACTERS. And he got TWO of them throughout the novel. Wow. Wow first comment, okay CV stands for Character Voice. Ahhhhhh, I just can't get enough of this! My opinion may seem superficial and if you're looking for something that sounds professional, then I'm sorry, I'm not the one you're looking for! Let me first of all thank the translator for doing such a great job at translating! Sometimes when it comes to translating Chinese novels, the translator foregoes well-structured English for directly translating Chinese. And that, gets confusing for someone like me, who has next to no knowledge on the Chinese language. Therefore, Lord Translator, thank you for making this great story... more>> a good English read! I really like the concept of transmigration, systems and travelling back in time. I get that it's not for everyone, but I think every story is worth a try. If you don't like it, at least you tried to read it.